You can now have all your important and valuable data in one place, so you can access it easily, search through it and share it with others. BigMIND allows you to import the files you have under your other storage services, such as Box, Dropbox, Google Drive and One Drive into your BigMIND account, so you can find your documents, photos, and videos in record time. Also, you can connect your Facebook and Instagram accounts with your BigMIND one, to directly save all your personal photos and videos there. 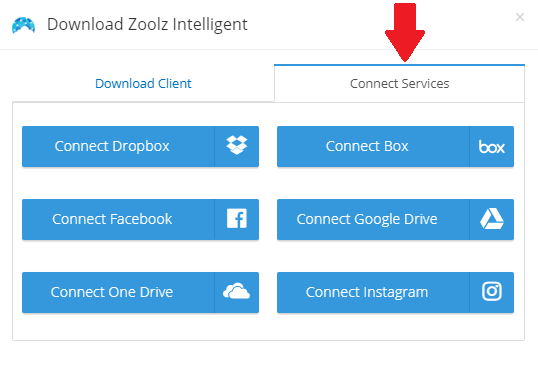 From the opened pop-up box, select the service you need to connect it with your BigMIND account. 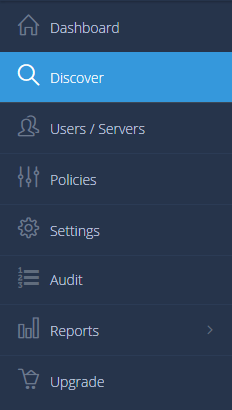 A new window will be opened, asking you to enter the login credentials of the service you need to connect it with your BigMIND account. Please do. BigMIND will take some time to get your files from the selected service and store them under your account. After that, BigMIND will automatically run a synchronization service to get the new files from those added Cloud accounts once every 24 hours. You can force the synchronization by simply clicking the small check icon at the service name button as in the screenshot below. To learn how to disconnect any of the added Cloud services, please check out this article.